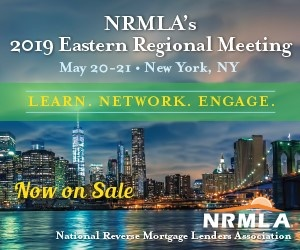 As complex servicing issues regarding non-borrowing spouses continue to challenge reverse mortgage originators, servicing experts offered their guidance on updates to Home Equity Conversion Mortgage servicing at the National Reverse Mortgage Lenders Association conference last month. As many loan originators continue to be a main source of loan-related support long after the reverse mortgage is originated, Gail Balettie, senior vice president at Celink, said it is important for loan originators to be familiar with all of the updates. “We all understand that borrowers are going to call you first. You were the ones who got them the loan, you sat at the kitchen table with them and in a lot of cases you remained friends with them,” she said. One of the main sources of servicing confusion surrounds non-borrowing spouses and how to ensure they can remain in the home after their borrowing spouse passes away. Thanks to protections HUD put in place for loans originated after August 4, 2014, HECMs are safer for these non-borrowing spouses — but they must meet all eligibility requirements. “It’s kind of like you’ve qualified for the Olympics, but you still have to win the race,” Leslie Flynn, senior vice president of Reverse Mortgage Solutions, Inc. said. Among other items, the requirements include providing a death certificate and agreeing to continue paying taxes and insurance. Flynn especially emphasized the requirement that states the non borrowing spouse has 90 days to obtain marketable title or legal right to the property — emphasizing the importance of the timeline. And 90 days is a hard and fast rule. “If you are advising your new non-borrowing spouses you need to remind them that time is of the essence and it’s a big deal — because lots of people think they are totally safe because they originated after August 4, 2014,” she said. For loans originated before August 4, 2014 — which Flynn said is the preponderance of cases — no provision was in place for these spouses. So HUD provided the opportunity for relief in the form of a Mortgagee Optional Election (MOE). Interested non-borrowing spouses must meet their own set of requirements and submit a packet of required information to HUD. If they are approved, they step into the place of the borrower upon the borrower’s death. Required information for the MOE includes social security and death certificate, and they also have the same strict 90 days to obtain marketable title or the legal right to the property. ‘“For those of who never dealt with a non-borrowing spouse that has been told they missed the 90-day requirement and as a result you’re going to have to foreclose on the home because the package has been denied by HUD, it is a very, very sad message and it’s not always received without some form of litigation on the other side,” Flynn said. The servicers on the panel said borrowers could preemptively put the non-borrowing spouse on the title ahead of time to have this part of the timeline is completed. -A non-borrowing spouse can only stay in the house if the borrower dies — not for other circumstances, such as the borrower moving out to go to a care facility for more than a year. -Once the borrower dies, remaining funds or LESAs cannot be accessed by the non-borrowing spouse. “Any LESAs that were made are not available,” Flynn said.